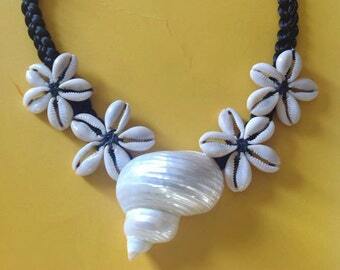 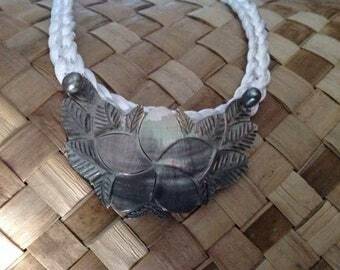 Authentic Sea shell necklace. 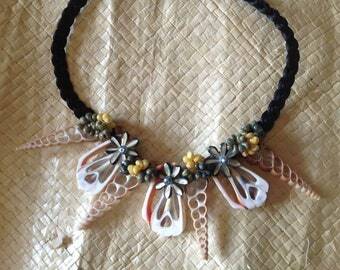 Perfect for mom, beach wedding or any Polynesian events. 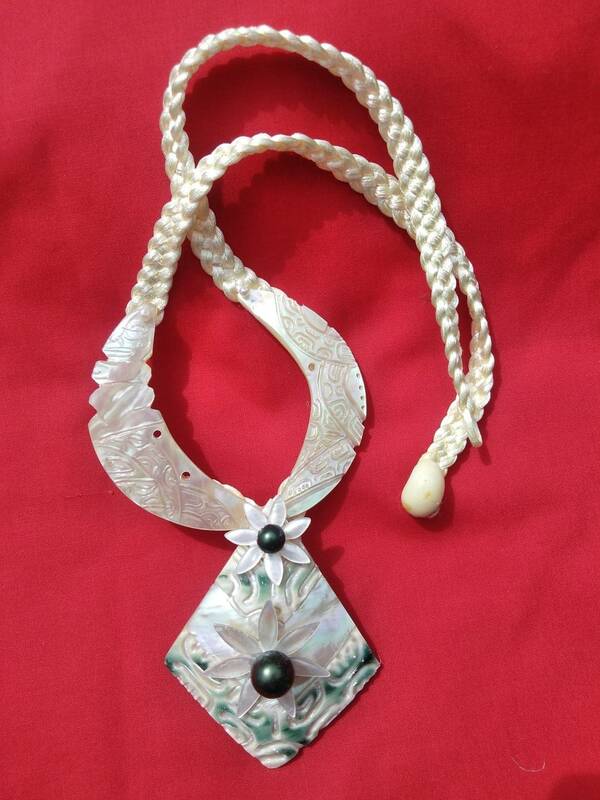 This beauty big shell measures 3.50" in length & 2 shells on the sides measures 2.77" inches long and the cord it's 20-21" long. 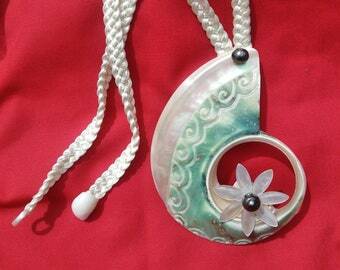 2,5" - 3" CUT CANARIUM Genuine Sea Shell..